Gifts to Buy For New Year | TonerGreen - Eco-Friendly Toners from the U.S.
Personalized Happy New Year Champagne Art - Everyone loves to have a toss in New Year's Eve that's why its given that a champagne bottle should always be in the New Year's table. 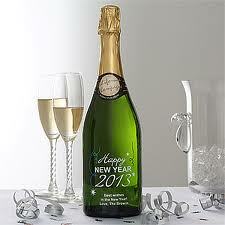 The Personalized Happy New Year Champagne Art is a "delicious sparkling champagne, presented in a custom keepsake bottle, is sure to bring an extra sparkle of holiday cheer to the New Year's party." 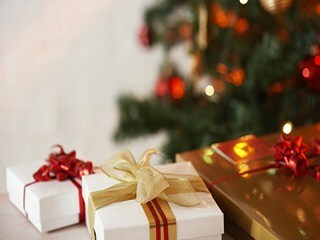 Festive New Year's Wishes Gourmet Gift Basket - Who wouldn't love a gourmet gift to receive on the start of the year? Of course, no one! The Festive New Year's Wishes Gourmet Gift Basket "is a great assortment of gourmet foods including delicious candy, cheeses, crackers, chocolates, and more." Personalized 12 Photo Calendar - is perhaps the perfect personalized gift you can give to your friend or relative. Decorate a whole year calendar with 12 pictures of your love one to complete the 12 months of the year. The Personalized 12 Photo Calendar is a "large 10.5"x17" personalized photo calendar that brighten every day of the year." New Year Jigsaw Card - is the perfect New Year card to give to your little niece or nephews. Who wouldn't be thrilled to finish this jigsaw puzzle to see the image and your New Year greeting in it. 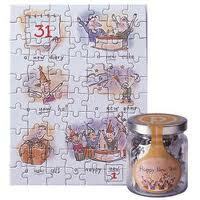 The New Year Jigsaw Card comes in a jar is filled with pieces of a jigsaw puzzle that the recipient will have to put together and reveal your New Year's greetings. 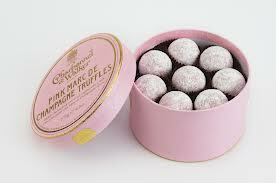 Champagne Truffles - No one, I said no one can resist to eat sweets during New Year's Eve. No doubt, champagne truffles are very popular. Send a box to your love ones and family members as a treat for their sweet tooth. Aside from these, the last week of December is also the perfect time to buy gadgets since most retailer shops offer great discounts and sale as part of their Year-End promos. If you don't have a printer then better get one for your home and don't forget to use eco-friendly toner cartridges and ink cartridges from TonerGreen.